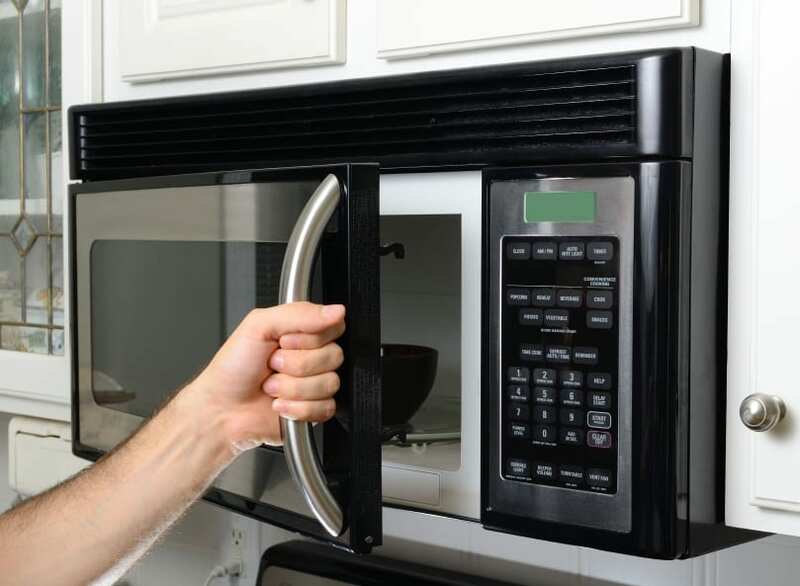 As technology answers our need for multipurpose tools and advanced machinery to make our lives easier, a few companies took it upon themselves to create 3-1 microwaves. Here are a few of the top contenders. This product measures an impressive 1 cubic feet designed for microwaving, steaming and grilling foods. It has 900W microwave output power and steam engine heater power, plus 1100W grill heater power. For buttons, you find the traditional microwave commands to include 6 healthy cooking categories, and 15 programmed menus. The steaming option is solely steam, no microwave power, so you’ll get honestly steamed food. In terms of grilling though don’t heavily rely on this multifunction tool. It only has two grill settings making temperature control difficult. Users report picking sides on the product: some love it while others find too much fault with it. Samsung’s smart oven features a convection oven, toaster, broiler and microwave all in one. The company patented a Slim Fry technology that circulates hot air in a way which dispels cold spots and promotes crisping- essentially frying or grilling your food without oil. The unit itself is well constructed, compact, with a sleek look. A ceramic interior is not only functional, but easily cleaned. Users report the microwave even reheating leftovers better- making food evenly warm and ready to eat instead of piping hot with cold spots that many traditional microwaves create. Instructions are detailed, but some users report figuring out use through intuition and trial and error. A bit pricier than it’s aforementioned 3-in-1 version, this Sharp oven allows for microwaving, steaming, and convection cooking. It’s SuperSteam convection makes reheating and defrosting easy without sacrificing your food. The oven comes with 2 baking trays, 2 nonstick racks, a steam basket, and cookbook for inspiration. An LCD screen and automatic settings make the multipurpose oven easy to use. Users are impressed with the design and functionality on the product. Some even suggested purchasing the oven alongside a simple glass cooktop instead of a standard range/oven for full functionality in smaller kitchens. One complaint though is geared towards the microwave function and its lack of a turntable. The timer stops periodically to tell the user to flip or turn the food, which can be a bit annoying for a traditionally hands off operation. This retro- style unit isn’t exactly a microwave but its functionally can prepare and reheat food similar to a microwave. The unit features a 4-cup coffee maker next to a toaster oven which can bake, toast, or broil. The grill plate on top can grill foods at the same time the other options are working. It’s a perfect addition to a dorm or office with flexibility to make breakfasts and perfectly reheat leftovers. Users report ease of use and easy clean up. It doesn’t not work as quickly as a microwave in terms of reheating but guarantees an even heating and no ‘rubber’ result.